How Tana Karn built RunGood Poker Series and the ideas that shape his vision for the tour. 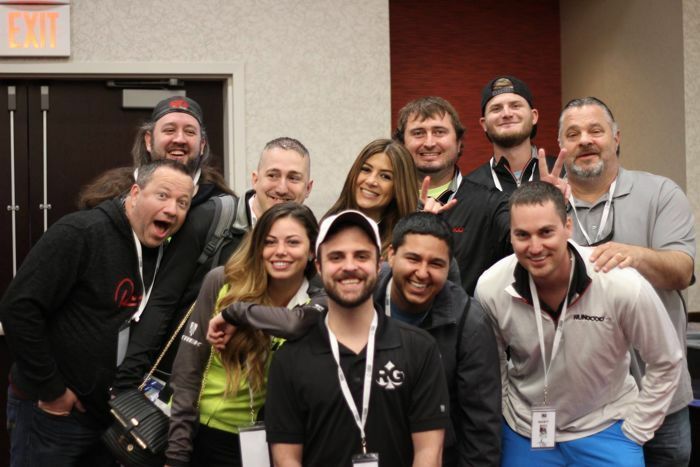 Making poker fun again: how Tana Karn turned a poker tour into one giant party. 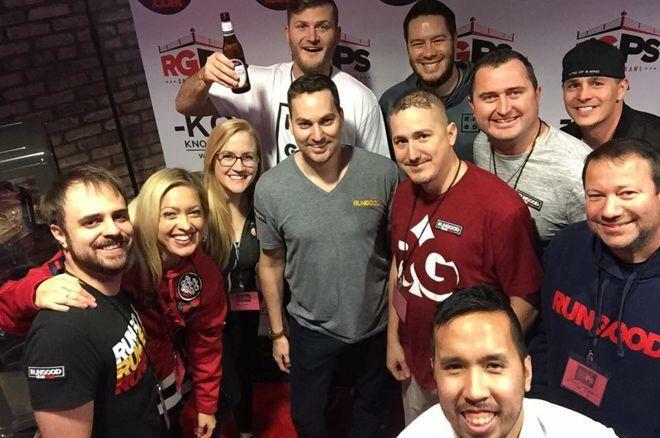 How @tkarn421 built @RGPokerSeries and the ideas that shape his vision for the tour. Every child of the 1990s probably remembers the game RollerCoaster Tycoon. If you spent those years under a rock or aren't a member of Generation Y, here's a refresher. Players build their own theme parks, starting from scratch and limited only by imagination and imaginary resources. They design rides and set prices for their park, creating an experience for their virtual customers, one that's a reflection of the mind of the creator. The game proved to be a massive success, spawning dozens of sequels and expansions, and it's not hard to see why. Ever since theme parks became a thing, generations of kids have fantasized about building their own, and Tycoon gave them a chance to bring those dreams to life. Well, RunGood Poker Series is the RollerCoaster Tycoon of the poker world. Instead of crazy roller coasters spawned from the freewheeling mind of a 12 year old, RGPS is a crazy poker tour from the fun-loving mind of Tana Karnchanakphan, known to most as Tana Karn. RunGood is the product of Karn's unique vision for presenting the poker-playing public with a tour that's less about the final numbers in the prize pool, and more about the memorable journey to the final dollar being paid out. Go to almost any poker series or festival, and you're likely to find the same basic setup. A main event that's at the series' signature price point, and few preliminary events that are some fraction of the main event's buy-in. Nowadays, maybe a high roller or two that's pricier than the main. Almost all will be standard no-limit hold'em events, and in Karn's eyes, too many seats in all of the tournaments will be populated by the same player archetype. “Someone buying in and sitting there, trying to give someone else the cold stare so they can steal the blinds,” Karn said. Not so at a RunGood event. A typical tour stop might include some combination of a “Jack and Jill” partners event, a shootout, a pot-limit Omaha event, and a Pro Bounty, wherein players win random prizes for knocking out designated RunGood-sponsored individuals. Entries usually range from $100 up to $675 for the Main Event. What might be most telling, most indicative that RunGood isn't your cookie-cutter poker tour, might not be what you see, but what you hear: laughter. There's always plenty, and it's most often coming from Karn and his cohorts, the RunGood Ambassadors who are patched up and usually ordering rounds of drinks for anyone fortunate – or unfortunate – enough to be in their immediate vicinity. “You'll see people high-fiving, taking shots together, chatting it up,” Karn said. “We want people to feel like they're coming to summer camp. We want someone to feel like they're coming to a home game rather than coming to a big event. Differentiation is a key concept behind RunGood Poker Series. Talking to Karn, it's clear he has a healthy respect for what most would view as his competitors. And why shouldn't he? The WSOP Circuit continues to draw thousands of players for its reentry events and consistently hands out prizes in the neighborhood of $200,000 for its Main Events scattered across the country. 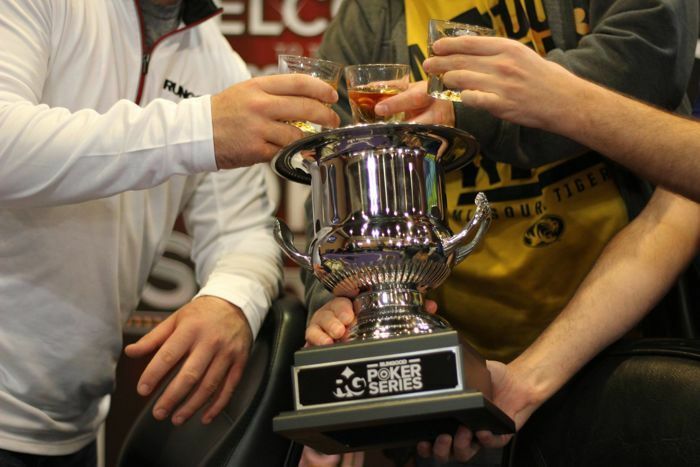 The Mid-States Poker Tour increases numbers seemingly every year and continues to expand its footprint. The Heartland Poker Tour and WPTDeepStacks continue to draw strong fields and award six-figure prizes regularly. Contrast that with RunGood, which has only paid out a couple of prizes in excess of $50,000. Most Main Event winners pocket around $40,000, a number the Circuit hits regularly with its $365 and $580 side events. Karn might seem like a guy just enjoying the ride – especially if you watch him get in stacks between sips at the low-stakes pot-limit Omaha games that are a regular side attraction at RunGood events – but behind the wide grin and glass of red wine is a well-trained business mind. Well aware of the challenge RunGood faces with such established tours having been making the rounds for years, Karn aims to attract a different crowd with a different product. “We're probably more in the low stakes,” he admits. “What we do differently, is we bring a variety of different tournaments for each stop that we feel is more for the recreational player, the weekend warriors. This is where the build-your-own-rides mentality kicks in. Karn dreams up a new theme for each RunGood season, building the prizes, trophies, scenery and even sponsors around his idea. For instance, the “End of Summer” series in 2016 featured a tailgating theme. Karn recruited high-end cooler manufacturer YETI as a sponsor for that one, giving away YETI products as part of the prizes in every event. Karn brought Fireball whisky on board for the spring 2016 “Ignite the Night” series. Last spring, Karn put together the “Spring Brawl.” Knockout Watches came aboard and provided a selection of fine wristwear. And for a trophy, Karn harkened back to his childhood dream of owning a wrestling belt. And while it would be easy to just slap together a rinky-dink belt and call it a day, that's not how Karn wants his company to operate. He looked around and found a number of companies that offer to manufacture cheap belts for fantasy football leagues and the like. That wasn't good enough though, and Karn kept searching until he found a company that produced a quality, professional-grade product. 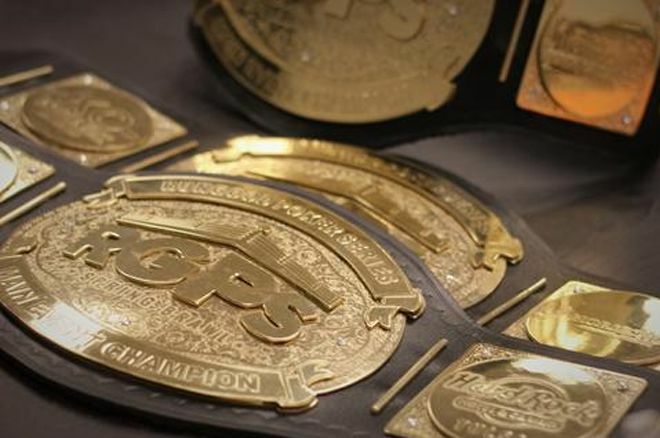 The RunGood Poker Series belts. Before Karn could build his first rides, he had to develop his first plot of land and come up with some ideas. 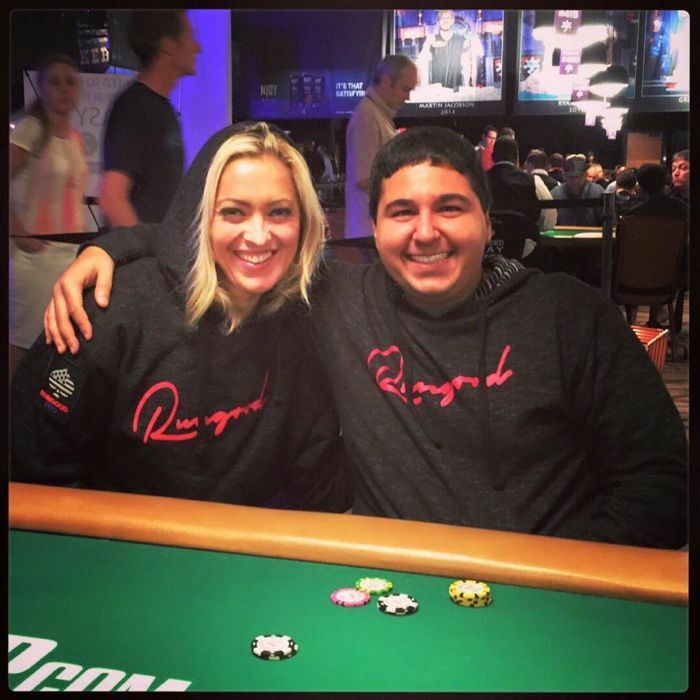 So, how was RunGood born? One of those ideas? A poker clothing company that produced something stylish and respectable. Karn himself owned a Full Tilt Poker bathrobe. He had a friend who wore a Full Tilt shirt trumpeting the accomplishment of knocking out a sponsored pro. “A lot of my wardrobe was some of these silly shirts that I feel bad wearing now,” he said. “That gave me the idea. What if poker actually had a real clothing company? A dream business venture discussed between shots is one thing; actually putting on a hard hat and laying the brick and mortar is quite another. Luckily, Karn came equipped with the requisite tools. He had majored in marketing at the University of San Diego. And customer service comes as naturally to Karn as grousing about structures does to Allen Kessler. That's what happens when you grow up working in the restaurant industry, specifically the Karn family-owned The Tropical Restaurant & Bar, which serves up popular Thai food in Karn's native Tulsa. Karn worked every job in the place, starting from busboy on up. Karn needed someone who knew the lay of the poker land to cover all of his bases. That's where the Ambassador team came in, especially inaugural member Justin Gardenhire. 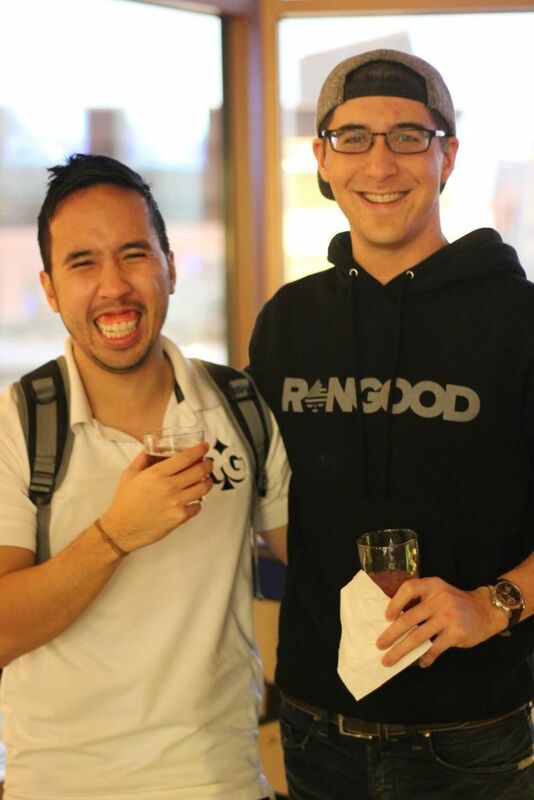 The two Oklahomans bonded over drinks and had a shared vision of what RunGood could be. From there, the team building began and the crew grew organically, from Gardenhire and Karn's friends, and branching on out from there. Where other tours are looking for accomplished players and world champions, Karn and Gardenhire look for something different: a winning personality. Crushing at the table is all well and good and might get you noticed in the first place by the RunGood team, but it's what you do in between and outside of raking pots that really draws their attention. People like Jamie Kerstetter, Michael Sanders, Jose Montes, Ray Henson. Each is no slouch at the table, but each can enter a room and instantly raise the energy level with a well-timed one-liner or a playful needle to a fellow grinder. And if you start stacking multiple members of the RunGood team in the same place? Steer them clear of movie theaters and libraries. Expect a steady diet of needles, jokes, shots of Fireball, and roaring laughter. 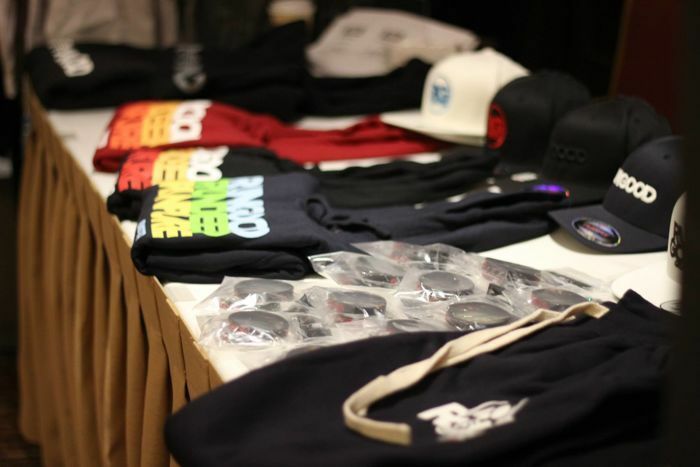 Karn made one of his off-beat ideas a reality when RunGood established itself as a leader in the poker clothing micro-market. But a clothing company and a poker tour are two entirely different beasts. One market had competition akin to your local free bar tournament, the other was like entering one of the ARIA $25Ks. How did the metamorphosis occur? It started with a phone call. Karn's phone buzzed with a ring from nearby Downstream Casino Resort. The poker room manager asked Karn if RunGood would be interested in headlining a tournament. Early successes convinced Karn he could craft something sustainable. He took a cautious approach, preferring to grow the tour organically by building relationships with casinos in the region one-by-one. Take Horseshoe Council Bluffs. Karn related the colorful story behind the addition of that stop. “I was playing at the WSOP and I just busted a tournament, so I wanted to steam off a little bit,” he said. “I went to go play Pai Gow, where hopefully I couldn't lose that much, knock on wood. Over the course of small talk, it turned out the man next to Karn was Andrew Brock, former poker room manager at Horseshoe Council Bluffs. They exchanged contact info and Brock later reached out, interested in hosting a RunGood stop at the casino, which lacks any regularly scheduled notable events aside from the WSOP Circuit. Brock convinced his bosses that RunGood wasn't a direct competitor to the Circuit, a key sticking point for the Caesars-owned property. “They blew it out of the water,” Brock said. “We've had RunGood multiple times, I think four or five times. It's just a nice, player-friendly tournament. When they come here, all our local players ask when the next stop is. Brock put in a good word at sister property Harrah's North Kansas City. That's become a staple, and new stops have since been added at Horseshoe Tunica and Horseshoe Bossier City for the latest season, with the Bossier City stop currently running March 6-11. “Every casino we've been at has been based on word of mouth,” Karn said. In other words, the crowds keep coming and Karn's park keeps expanding. While Karn's willingness to roll up his sleeves and work was honed from being a young jack-of-all-trades at the family restaurant, he honed his business acumen pushing an entirely different product: basketball. Shortly after graduating from college, Karn got a job with the L.A. Clippers. He quickly learned that no matter how good or bad a team was in the sports world, an immense amount of work went into producing the fan experience, extending far beyond what transpired on the court. “Whether the team's 1-16 or 16-1, the product is the atmosphere,” he said. “The mascot, the cheerleaders, the entertainment, the music, the popcorn. Whether the team won or lost, it's so much fun and you can't wait to go back. Karn hearkens back to the early days of WSOP coverage, when a camera would pan over a vast sea of bustling players, the majority tabbed as “dead money.” That's the worst feeling, the most demeaning thought, in Karn's view. Sure, there must inevitably be winners and losers, but why not give them all a great time? Just like his days marketing in the NBA, how could he make everyone excited to buy a ticket to the next game? That's the dream that drives Karn to keep building. He keeps rolling out new experiences for the players, giving them the chance to play for a spot on a cruise ship last fall and then pivoting to a charity theme this spring – the team has committed to sending thousands of dollars in care packages to military members stationed overseas. What wild new rides will Karn dream up next? Time will tell, but one thing is for certain: buy a ticket and bring the right mindset, and you'll walk out the door with a smile.